... and you enable a man to feed thousands more. 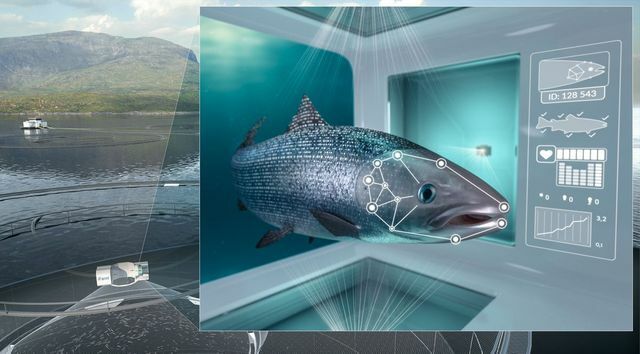 The story that a Norwegian company has developed a scanner capable of recognising salmon by their faces (more specifically, "the distinct pattern of spots around their eyes, mouth and gills") and of identifying those with infections requiring medical treatment, is a perfect example of the potential AI has to change the modern workplace. AI evangelists (or prophets of doom, depending on your perspective) often predict that the technology will render human workers obsolete. In my view, the result of the growing adoption of AI will be a little less drastic, but no less significant. AI's great strength lies in analysing huge amounts of data and identifying patterns. It is a phenomenal tool for creating productivity gains, not simply by automating human work, but rather by giving humans the tools to apply far greater precision to their work. The development of the aforementioned scanner will not result in fish farms cutting thousands of 'Fish Facial Identification Specialists'. Instead, it has created an entirely new capability, allowing workers to target stressful medical treatment on the fish that actually need it, which is estimated to reduce mortality rates by 50 to 75 percent - a huge productivity gain. Updating the famous Chinese proverb for the modern age may make it less pithy, but for businesses it carries an important moral. When thinking about AI, you should not be constrained by the desire to automate existing processes. Integrating AI into human labour may result in far greater gains. New technology will use facial recognition to build individual medical records for millions of fish. Computerised facial recognition: revolutionary tech or surveillance threat?